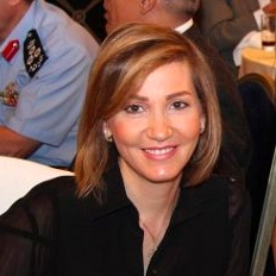 Dima Jamali is Professor in the Olayan School of Business, American University of Beirut and currently the National Representative for Global Compact Network Lebanon (GCNL), a network of businesses committed to advancing Sustainability and the Sustainable Development Goals (SDGs) in Lebanon. She has a PhD in Social Policy and Administration, from the University of Kent at Canterbury, UK. Her research and teaching revolve primarily around Corporate Social Responsibility (CSR) and Social Entrepreneurship (SE). She is the author and editor of four books (CSR in the Middle East – Palgrave, 2012; Social Entrepreneurship in the Middle East – Palgrave 2015; Development Oriented CSR – Greenleaf 2015; and Comparative Perspectives on Global Corporate Social Responsibility – IGI- 2016), and over 80 high level international publications, focusing on different aspects of sustainability and sustainable development and CSR in developing countries in general and in the Middle East specifically. She is the winner of the 2016 National Council for Scientific Research Excellence Award, and the 2015 Aspen Institute Faculty Pioneer Award, dubbed by the Financial Times as “the Oscars of the Business School World” for pioneering faculty who are at the cutting edge of teaching and scholarship in their field. She is also winner of the Shield of Excellence for the Arab Region and designated as Personality of the Year for CSR by the Arab Organization for Social Responsibility in 2015. She is also winner of the 2010 Shoman Prize for best young Arab researcher, which recognizes distinctive scientific works that contribute to addressing priority issues at the local, regional and international levels. In 2013, Dr. Jamali was selected for the Eisenhower Fellows Program, joining a global network of leading professionals committed to collaborate for a more prosperous, just and peaceful world; she was also selected in 2007 for the British Academy of Management Fellowship for South Asia and the Middle East which identifies and supports scholars with exceptional potential and trajectory from the Middle East. Dr. Jamali is also winner of the AUB Teaching Excellence Award in 2006, which recognizes outstanding educators from across the AUB campus. She worked as an expert consultant for the United Nations on Social Policy and CSR as well as various projects funded by the World Bank, the US Agency for International Development, and major private and public firms across the region. For the past two years, she has been championing the UN Global Compact Network for Lebanon and working with leading firms from the private sector to advance the Sustainable Development Goals (SDGs) and UN 2030 agenda in Lebanon.